Do You Have a Leak? Hire Pros Today and Fix It in a Tick! Fixing a leaky sink or replacing old or faulty pipes is not exactly cheap, a proper water leak repair is sure to save you lots of hassle in the long run. If a leaking bathroom or a heavily leaking pipe is left ignored, the resulting water streaks will promote the growth of mould and mildew on your interior walls, rot your home's wooden foundations, and cause steel surfaces to rust. Should water come into contact with any exposed electrical wires, it may also spark a fire that can quickly spread from room to room. And let's not forget that the excess drops of water released by, say, a leaking shower or a dripping faucet, will add a few extra digits to your monthly water bill statement. 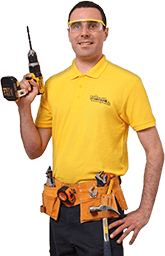 No matter where the leaks decide to pop up, Fantastic Handyman can help you seal them for good. The precise and skilled technicians can easily fix dripping faucets, leaking taps, water heater leaks, and plumbing leaks. The experts have you covered even if you're in urgent need of more demanding jobs, such as water pipe leak repair and major replacements. 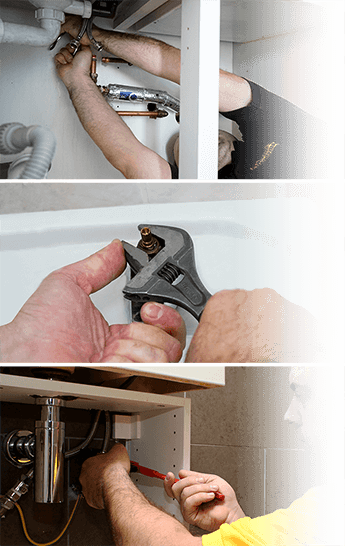 They will choose the right plumbing method to perform shower faucet replacement, toilet repair, and any other tasks you need. Q: Are repairs going to be covered by my insurance? A: Shower faucet repair, kitchen sink repair, leaking pipe repair and other similar services are usually not covered by most insurance policy plans. However, your water supply company may provide you with an allowance if you notify them about your problem within 30 days of discovering the defects. Q: Why is water leaking in my home? A: There are many reasons why water is invading your home. For example, you may have postponed your basement leak repair for way too long without even knowing it. Or you've hired inexperienced leak repair contractor who only made matters worse. Or perhaps your old pipes simply cracked under the constant water pressure. Q: How are you able to locate the source of the leak? A: The quick and efficient handymen have been trained to look for certain leaks and various other tell-tale signs around your house that will help them identify your problem much faster. The knowledgeable specialists are also no strangers to the different types of water plumbing systems and can fix anything from simple sink leaking to clogged toilets and rusty pipes. Q: For how long can I leave the leaks unaddressed? A: The sooner you fix the problem, the better! After all, if you seal the leaks in your home on time, not only will you save a significant sum of money, but also drastically lower the risk of accidental combustion and breathe a fresher, mould-free air.